From start-ups that want to give their business the best possible chance to established players that understand the importance of consistent, relevant communication, a holistic approach to PR and Marketing is key. Creating a holistic marketing strategy and working closely with the Cuttlestones team, leading regular meetings, to ensure it is smoothly rolled out and remains on target. Including generating ideas for, researching, writing and distributing press releases; liaising with journalists and monitoring media for coverage. Both for Cuttlestone’s dynamic, ever-evolving website and the company’s new glossy corporate brochure. 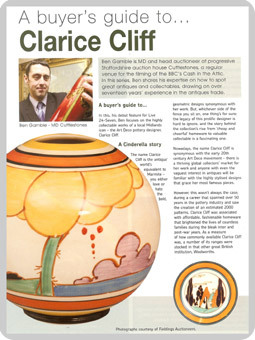 The writing of journalistic features for glossy lifestyle magazines in support of advertising – including research of topic and copywriting. In addition to being broadly distributed to the print media, press releases are also distributed via a number of web channels; helping to boost the company’s online presence and natural SEO (search engine optimisation). 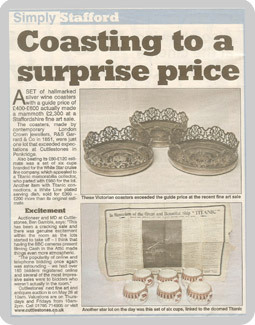 Online coverage has included the BBC News website in addition to a number of specialist antique sites and blogs, whilst ensuring that items of special interest that Cuttlestones’ have up for auction can be found via search engines. Meanwhile, I have also developed Twitter and Facebook pages for the company to engage with customers and a linkedin company profile to help extend the company’s networks within the broader business community. Squash PR & Marketing has helped Cuttlestones to streamline its marketing activities, saving money on advertising while maximising PR efforts to generate an impressive raft of coverage across the local, regional, lifestyle and trade press. 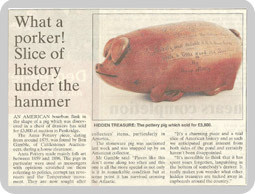 The company’s profile has also been boosted through attendance at events such as the Staffordshire County Show, hosting a range of fundraising talks and working closely with local charities and organisations to raise funds for worthwhile causes, as well as regular TV appearances in BBC’s Cash in the Attic. When fitness instructors Sally and Jamie set up an exciting new venture that takes traditional gym workouts into the great outdoors they needed support in attracting new members and developing and communicating their brand identity. Squash PR and Marketing has been able to assist, offering PR services and marketing consultancy on an ad-hoc basis within the new business’s tight marketing budget. Working with Sally and Jamie to establish their key goals, I helped them to devise low-cost ideas for promoting the business and helping to attract new members, from events and charity fundraisers through to competitions. Also attending regular meetings to discuss strategy, the editing and development of website content, advising on social networking and acting as a general sounding board for ideas. 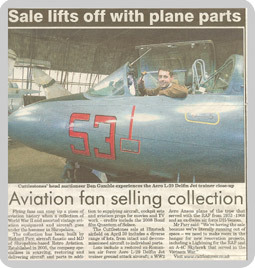 Developing ideas for, researching and writing newsworthy stories before distributing them to the local press; also writing features and content for advertorials, prioritising PR tasks, supporting the planning and executing of PR stunts and providing support in planning and directing promotional videos. 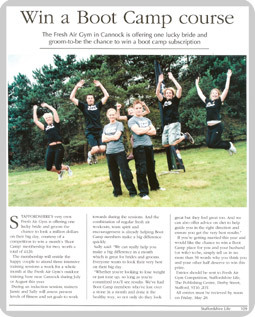 The Fresh Air Gym is now a thriving business with a rapidly growing, loyal membership base. Squash PR and Marketing helped the gym raise its profile during the critical first few months of business, generating a number of stories in the local press - including a full page competition feature in Staffordshire Life, and will continue to offer PR and marketing support to Sally and Jamie as the business grows. Having taken time to sit down with Dawn to learn about the products her franchise offers, what sets it apart from the competition and how she wanted the business to develop, I was able to help Dawn set measurable objectives before putting together a strategy for taking the business forward. As finding time to establish contact with prospective stockists was Dawn's main issue, I recommended that Squash PR and Marketing undertake a targeted direct mail campaign on her behalf, following up each letter with a phone call with the aim of securing appointments on days that her schedule allowed. From researching potential stockists through to writing and distributing letters and carrying out the follow-up calls (having researched thoroughly the range of products supplied by Equus Health) I was able to manage the entire campaign, leaving Dawn to concentrate on her existing clients and selling to new contacts during pre-set, face-to-face appointments. Roughly halfway through the campaign to date I have secured appointments for Dawn at numerous saddleries and feed merchants, resulting in several new suppliers and a number of hot prospects for stocking the Equus Health range in the future; whilst generally helping to raise awareness of the brand and its products. Working closely with the SWC team, Squash PR & Marketing has helped the company to develop a marketing strategy that would do its bespoke, natural SEO (Search Engine Optimisation) focused approach to website development justice. The company’s own website was redeveloped to reflect the re-packaged offerings, with Squash PR & Marketing undertaking copywriting duties and helping develop a series of campaigns to sell services to both existing and new clients. With MD Penny due to have her first baby she needed the support of an experienced project manager to front the sales side of the business while she took a more back-seat role to look after baby Olivia. Drawing on my account management experience I have taken the lead on all new business enquiries, including client meetings and liaising with the development team to come up with proposals for online solutions that meet clients’ individual requirements. I also act in a project management capacity, liaising with both the client and development team on projects from inception through to completion. 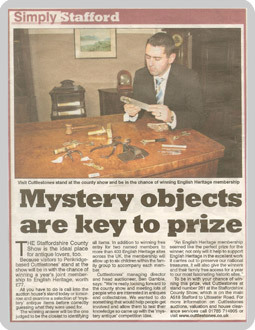 On an ad-hoc basis Squash PR & Marketing researches, writes and distributes press releases on behalf of Stafford Website Company and its clients, with an emphasis on online PR and its relation to SEO. Squash PR & Marketing creates content for Stafford Website Company websites that is both easy to read and yet meets the demands of the end user and search engines alike, to help support natural SEO (search engine optimisation). Squash PR and Marketing has helped Stafford Website Company and several of its clients to establish which social networking media is best for reaching their audience, setting up the relevant accounts and helping strategise how best to build their online followings. Regular updates, including news story links, are loaded onto these sites in addition to a broader range of online platforms, relevant to the target market. The LDF Entertainment Hub is a farm diversification project run by farmer Ray Bower and his partner Val James from their traditional beef and arable farm near Penkridge, Stafford. The hub offers a host of activities suitable for corporate entertainment, stag and hen parties such as paintballing, off road rally buggy driving, hovercraft rides, the opportunity to be a fireman for the day and traditional outdoor pursuits. 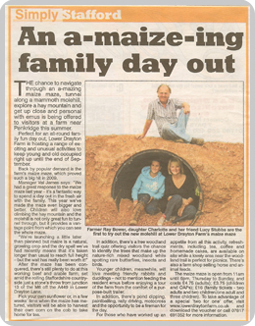 Meanwhile, for families, there are activities such as a summer maize maze, working farm tours, woodland walks, pond dipping and the opportunity to meet the animals. The farm also offers educational visits for schools and venue hire for a range of occasions. Squash PR and Marketing works with the LDF Entertainment Hub on an ad-hoc basis, offering on and offline PR services to help promote a variety of seasonal events. Identifying opportunities for, researching and writing newsworthy stories about LDF events before distributing them to the local press. 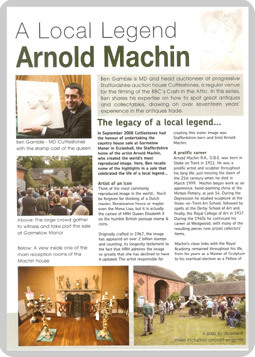 Squash PR also arranges and art directs photos shoots and ensures that events are well publicised online through a variety of channels, including the farm’s own website, local tourism websites and family focussed events listing sites. 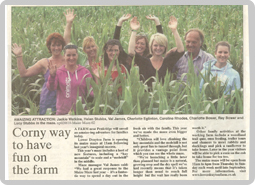 Squash PR has so far worked with Lower Drayton Farm to publicise two major events in its annual calendar; the summer Maize Maze and the October half term ‘Halloween Spooktacular’. 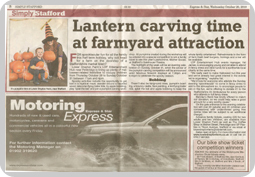 Through the writing and distribution of relevant press released and subsequent media liaison, Squash PR has helped secure extensive coverage in local and regional press for both events, with highlights including features on the BBC Stoke & Staffordshire website and the Guardian’s national ‘Halloween events this weekend’ article.